MOSCOW, March 15. /TASS/. The motivation to poison former Russian military intelligence officer Sergey Skripal can be found among those who are seeking to obstruct the 2018 FIFA World Cup in Russia, Russian Foreign Minister Sergey Lavrov said on Thursday. "The motive can be found with those, who keep exerting pressure on us and keep looking for new reasons to complicate the organization of the World Cup," Lavrov said. 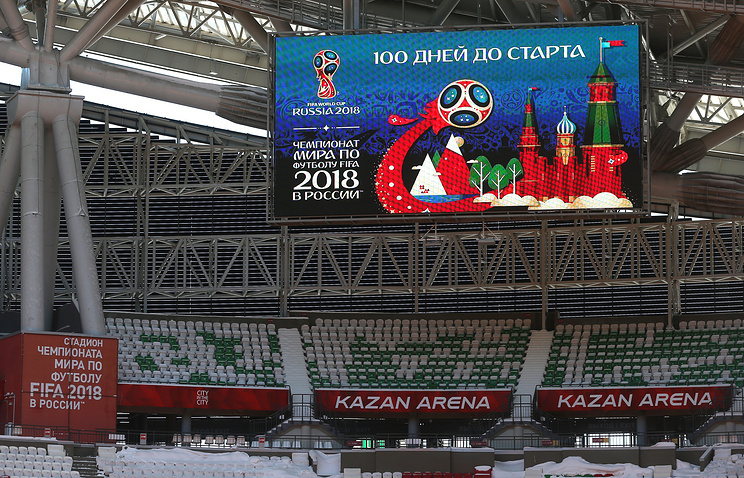 The 2018 FIFA World Cup will be held at 12 stadiums in 11 cities across Russia between June 14 and July 15. The minister said that in no situation at all it could be assumed that Moscow was involved in the case of Skripal’s poisoning. "If, speaking hypothetically, we take into account this sick and perverted logic of western colleagues - who would in common sense assume that Russia shortly before the presidential election and shortly before the World Cup would suddenly decide to create problems for itself? There is no motive at all," Lavrov said. UK Prime Minister Theresa May announced measures against Moscow on Wednesday in the wake of the poisoning of Skripal in Salisbury. Specifically, the UK premier said London would expel 23 Russian diplomats who had been told to leave the country within a week. The UK premier also accused Moscow of "an unlawful use of force against the United Kingdom." She also said that members of the UK government and the royal family will not attend the 2018 FIFA World Cup in Russia. Skripal, 66, and his daughter Yulia, 33, suffered from effects of an unknown nerve agent on March 4. They were found unconscious on a bench in a park near the Maltings shopping center in the city of Salisbury. Both are currently in hospital in critical condition. On March 12, May accused Russia of being involved in Skripal’s poisoning. The prime minister described the incident with Skripal as Russia’s "indiscriminate" and "reckless" attack against the UK. According to May, "Skripal and his daughter were poisoned with a military-grade nerve agent of a type developed by Russia."